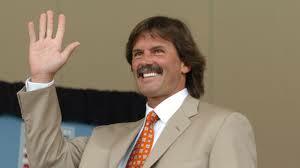 Meet baseball Hall of Famer Dennis Eckersley at the 23rd annual renewal of this major fundraiser for the Ed Keating Center. The Ed Keating Center provides a chance for sober living to recovering alcoholic and drug-addicted men and women. Our three, non-profit, sober living facilities are home to about 150 men and women at any given time. We believe that a chance for sober living should be available to any man or woman with a sincere determination to overcome their alcoholism or addiction, without regard to their ability to pay. Join us for a riotously good time, great food and soon-to-be old friends. One entry included with completed registration. Additional entries are $10 each.